Anatomy: The largest muscle of the back is the Latissimus Dorsi or “Lats”. 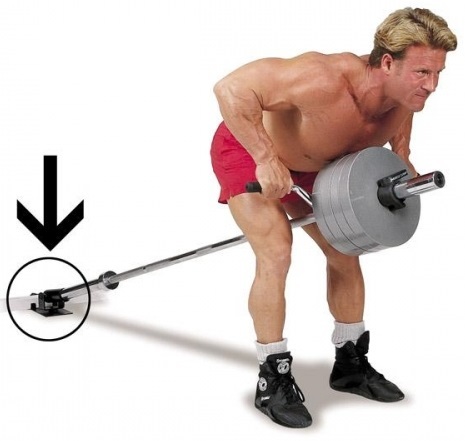 Lats run up on both sides of lower and middle back. They are responsible for several movements of the arm and shoulder joint. 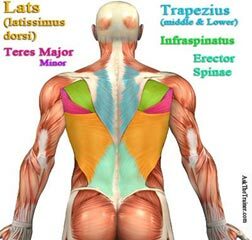 Everything the lats muscle does is assisted by the Teres Major muscle located underneath it. Teres Major muscle is commonly referred to as the “Lats Little Helper”. It is impossible to train one without the other. The Trapezius, covering the upper and mid back, located between the shoulder and the neck. The Rhomboids located on the upper portion of the back underneath the trapezius. The trapezius and rhomboids muscles enable many shoulder movements and also helps to extend the head. The Erector Spinae, lining the spinal column from lower to upper back. These muscles work together to extend the spine or bend you over backward. What Do These Muscles Do: The back muscles enable you to stand up straight; support and protect your spine; and reach, pull and extend your arms and torso. Your back is involved in everything you do, from running to lugging groceries, rock climbing, and swimming. 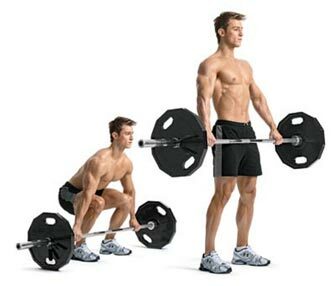 It is important to work all areas of the back and strengthen them in order to prevent injury. The stronger these back muscles are, the easier it will be to maintain good posture throughout the day and during any activity that requires pulling. Role Of Opposing Muscle: The main opposing muscle of the latissimus dorsi (lats) of the upper back is the chest. Where the latissimus dorsi pulls your shoulders back, the pectoralis major of the chest pulls your shoulders forward. Therefore, if you train only the chest muscles without training the antagonist upper back muscles, your shoulders will permanently hunch forward. With strong lats and pecs, your shoulders will be held back in a neutral position. Women need upper body strength and strong back muscles to function effectively in everyday life or in any fitness activities. They need to carry things, pick up their kids, perform all kinds of job and be self-reliant. Strong back muscles therefore are very important to their health. Weak muscles can cause back and neck pain. Back exercises should also be a priority for women looking to lose weight. Since the back has a fairly large muscle group, back exercises burn a ton of calories, and building the back muscles helps raise the metabolism, allowing them to burn more calories even while at rest. Most women are absolutely unaware of the huge potential fat burning muscles they have on their back. Strong, active back muscles burn fat. From an aesthetic point of view, strengthening the muscles in the upper back will have a tremendous impact on the posture and enhance the way they carry themselves. Also a well developed back can help to create the illusion of smaller hips and waist. Confidence emanates from a women who stand tall, holding her head and chest high and her shoulders back. 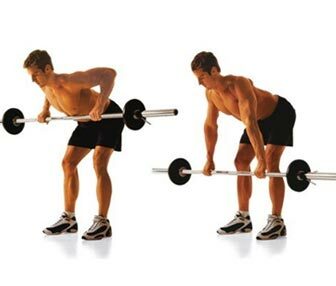 This posture is only possible when they sculpt a strong and shapely back. Powerful Back In Men: Many men neglect back training because this muscle is not one that typically can be seen in the mirror, unlike the chest and the arms. 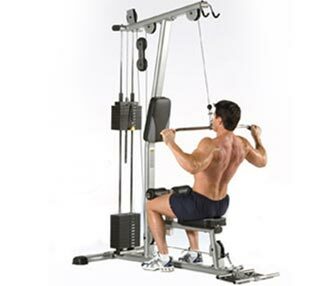 Although the lats are located on the back, they affect the way you look from the front. The muscles on your back hold your skeletal structure up in an erect posture. A fully developed back enhances the V-taper, thus creating the illusion of a smaller waist. A man with powerful back muscles will look good in anything he wears. The most notable back exercises are: Bent Over Barbell Rows, Dumbbell Rows, Chin Ups, Lat Pulldowns, Seated Row, and Deadlift.